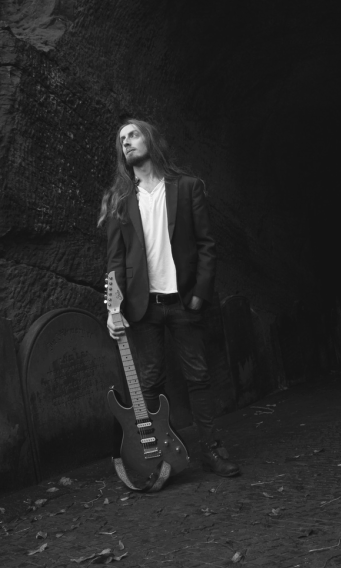 Jack Gardiner is a 25 year old professional guitarist/teacher/musician born and raised in Liverpool, England. Coming from the city most famous for The Beatles, music has been a part of Jack's life from very early on. His father (Roger Gardiner) has played the bass guitar for over 40 years. When Jack was a child, his father was watching a Dweezil Zappa VHS one night, with special guest Steve Vai on guitar. It was at that point, Jack said to his father 'I want to be a guitarist like him!'. At the age of 9, Jack started to take Classical Guitar lessons in school and at the age of 11, he took an interest in the Electric Guitar, studying for a year with Guitar Virtuoso John Wheatcroft (Guitar X, Guitar Techniques magazine). He performed his first few performances and gigs around the same time. It wasn't until Jack reached the age of 15 that he started to take the guitar seriously. After finding a number of highly talented musicians through YouTube, Jack found huge inspiration in the playing of guitarists such as Tom Quayle, Rick Graham, Guthrie Govan, Martin Miller and Marco Sfogli. Jack began taking lessons from Tom Quayle soon after, which shaped his style and sound significantly. In the years that followed, Jack has continued to grow and develop. Playing with various acts and artists, from Rap Music, to 60's Funk, to straight ahead Guitar Fusion. He has recently toured with the likes of Stu Hamm (Steve Vai, Joe Satriani, Allan Holdsworth, Frank Gambale) and Craig Blundell (Steven Wilson, Frost) as well as the 80's Brit-Pop Band China Crisis. His goal is to develop, grow and perform as a modern young musician with a modern approach in todays ever-changing music world.